...without knowing who you are! 1 game with 3 rounds may take 5 to 30 minutes. Players must be 18+ to play the game. This game might cause: uncontrollable laughter, disorientation, watery eyes, pretending to be someone else, suppressed depression, unusual euphoria, post traumatic anti-stress disorder, alien abduction, ripped six-pack abs, disturbance in the force, adopting cute animals and naming them "Schmolek", losing at Poker, increased social sharing, long-lasting friendships, missing an appointment, saving money, desire for donuts, contemporary dance moves, ordering pizza, color blindness, purchasing another game copy and vivid imagination. IMPORTANT: This game was not tested on animals! make friends, get reactions and win! Shuffle the deck and deal 5 cards to each player. Cards must be face down. Draw a new card from the deck and place it on the stand facing all other players. You should NOT see the card you have drawn. say your name, share your hobbies or what's your job, what you do in your free time. What type of person you're looking for. You: Hi, my name is Tina*. You: I'm 32. I love to drink, mostly in bars. I'm looking for a drinking buddy with good credit history. *Tina is not your real name! 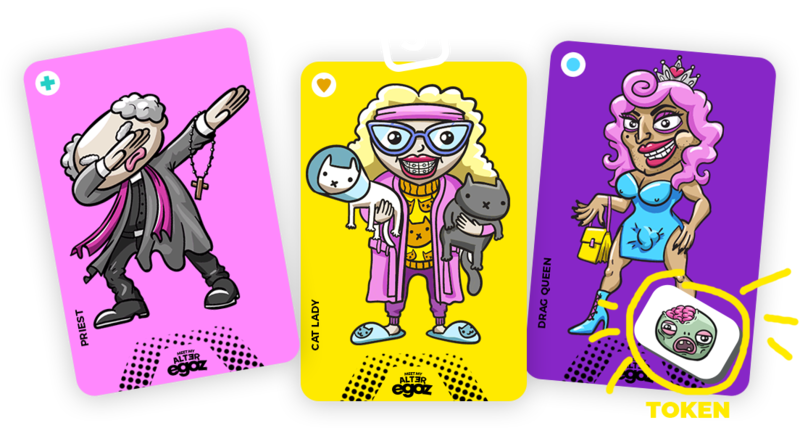 The players check their cards in hand and choose a card to match with your Alter Ego story and not the profile image. 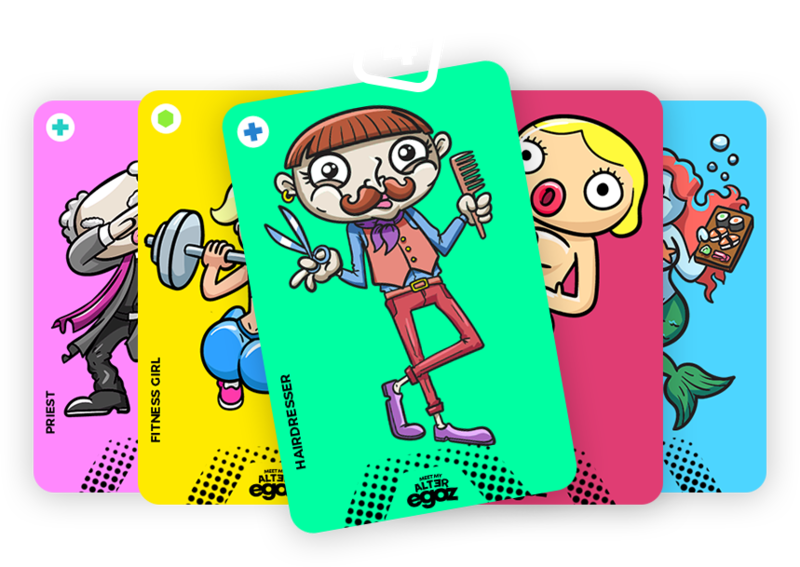 The selected cards are placed face down and should be shuffled by one of the players, not the Alter Ego. Reveal the shuffled cards to the Alter Ego. Now the Alter Ego chooses a match to his Alter Ego story - the card he likes most. 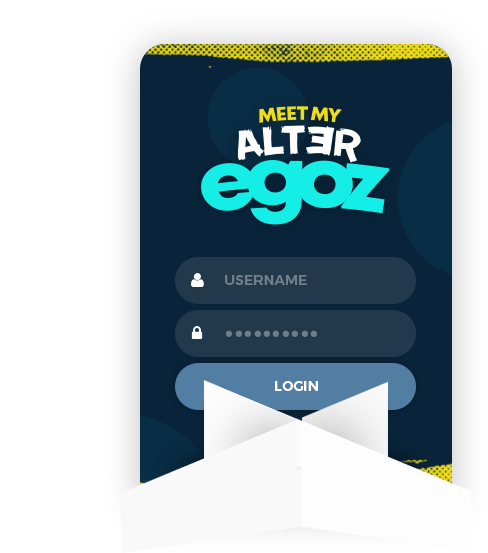 The Alter Ego gives a reaction token to the winner. 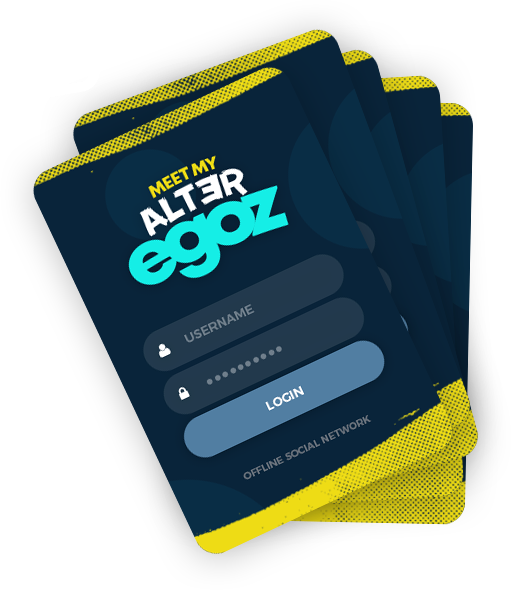 After that, Alter Ego can see his own profile image (card). 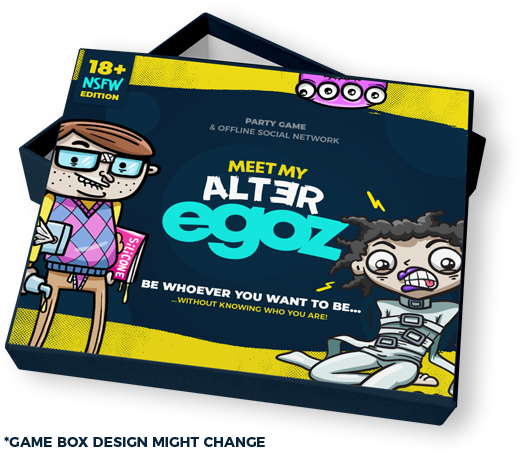 Finally the Alter Ego deals one new card face down to all other players and passes the card stand to the next player. When each player has described 3 Alter Egos the game ends. 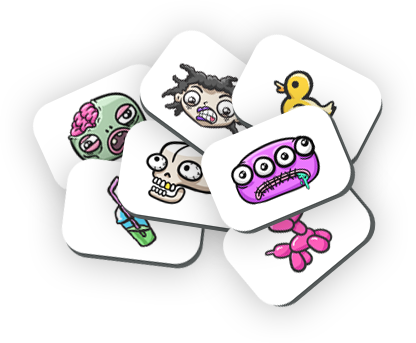 Count your reaction tokens - the one with most tokens wins the game! You can win the game instantly! Each card has a different colored symbol at the top left corner. Each card has a perfect match card with the same color symbol somewhere in the deck. 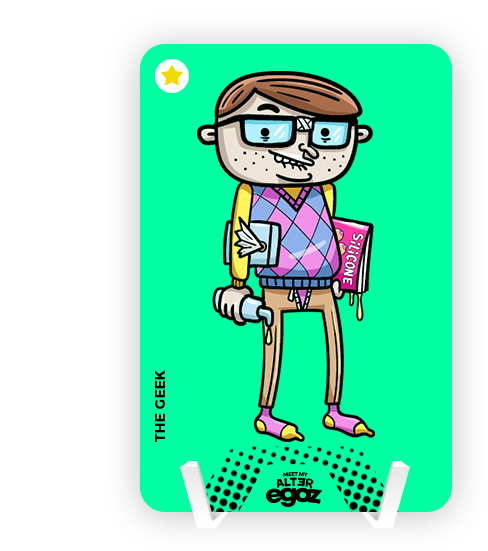 When the cards are presented to the Alter Ego and he picks the winning card, if this card has a symbol matching the symbol of the Alter Ego's card, the owner of the selected card wins the game automatically. No matter which round of the game it is! 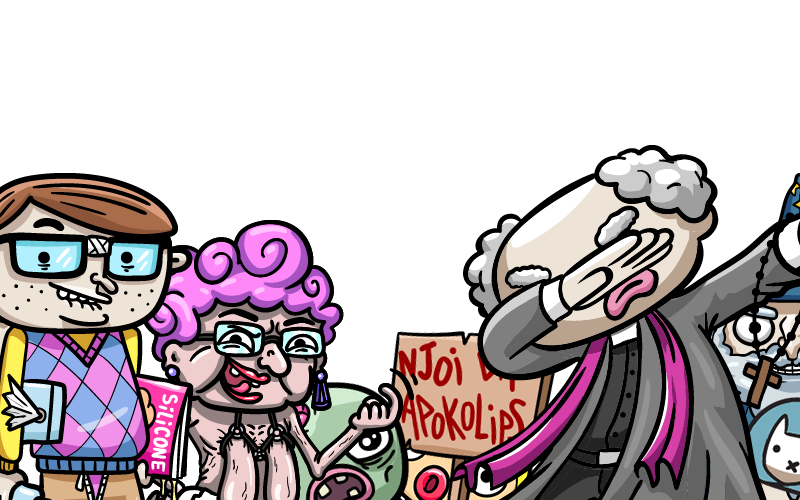 You must be 18+ in order to view this content! Please verify your age to enter!